With eight inflatable sections that surround the crib, it can be configured to any nursery layout and provides a safe way to reduce the likelihood of serious injury without restricting your child. If you have an infant that is starting to pull themselves to standing, DreamCatcher is the best option to keep your child safer. The DreamCatcher is made from BPA-Free PVC for easy cleaning. Simply wipe away messes with a damp cloth. The DreamCatcher is an inflatable bumper that surrounds your baby's crib. 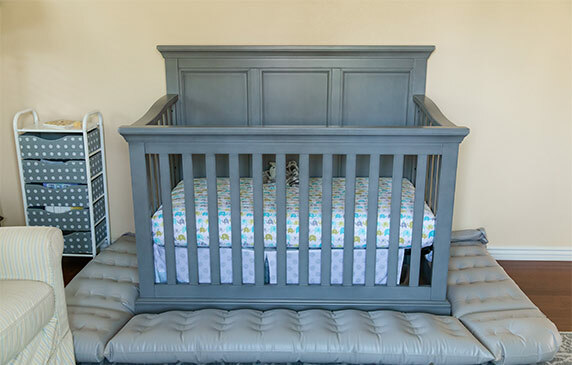 DreamCatcher provides a safe, soft place for your baby to land if they decide to climb out of their crib.